A heavy producing, wild tasting mid-season blueberry. 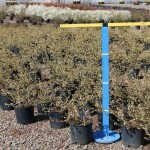 The compact shrub has exceptional fall color of reds and scarlets. 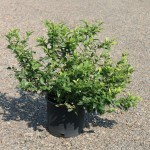 This variety lends itself to growing in containers. Blueberries grow best in full sun, in an acid, well-drained soil, with reliable summer moisture.